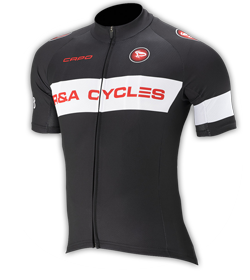 SRAM's famously comfortable ergonomics are intact for eTap, with improved hood and ErgoBlade lever shapes. 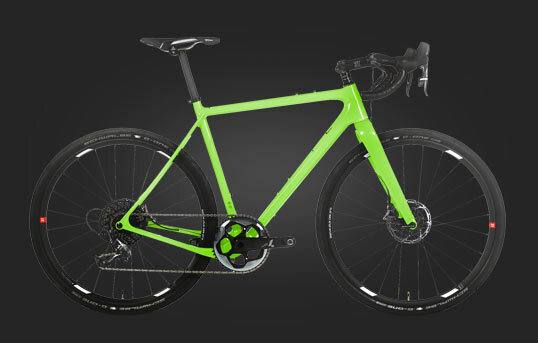 The shifting mechanism for eTap is simple: tap one paddle to upshift, the other to downshift, and hold both to shift the chainring. That’s all there is to it. 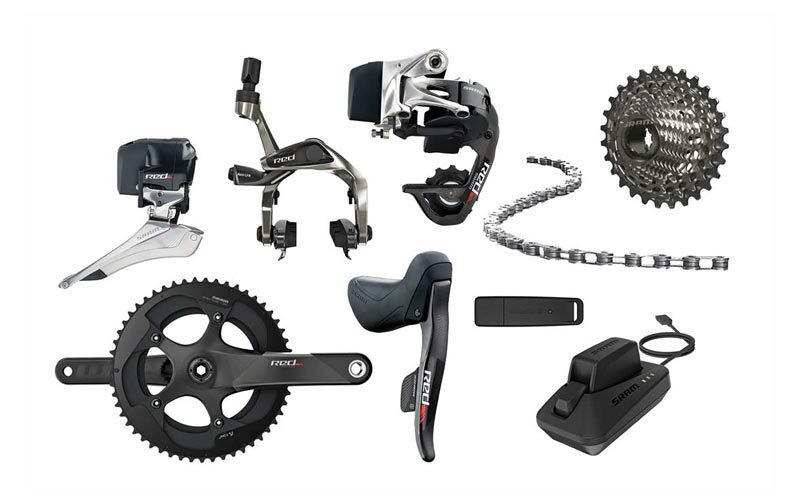 SRAM developed a wireless frequency system called AIREA from scratch to give you full and reliable command of eTap. 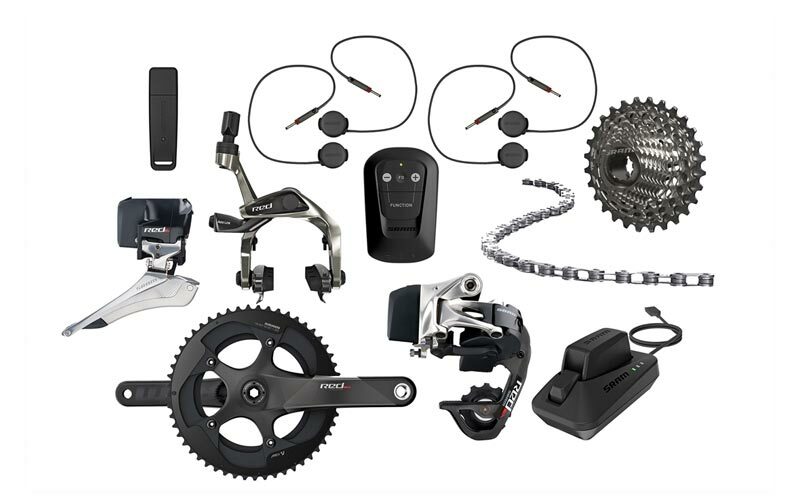 It's proprietary algorithms ensure that your drivetrain won't ever experience any interference from nearby eTap systems or other wireless electronics. 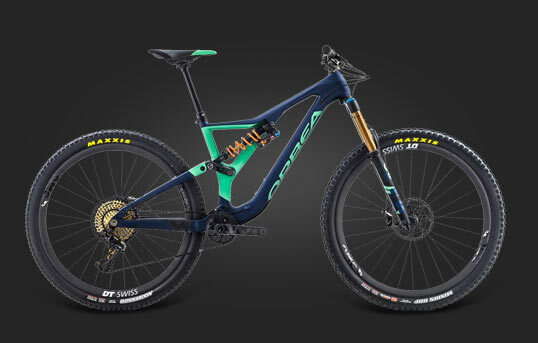 You'll get 1000km, or about 60 hours of riding, out of each charge of the front and rear derailleurs' built-in batteries. It only takes 45 minutes to fully charge either. The shift levers use simple watch batteries and will last an amazing two years before needing replacement. 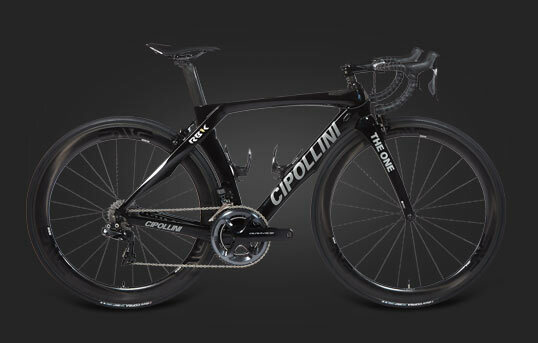 With no cables, wires, or junction boxes, installation of eTap Road is a painless procedure, and eTap for Tri/TT only requires the installation of a small junction for the shifters. 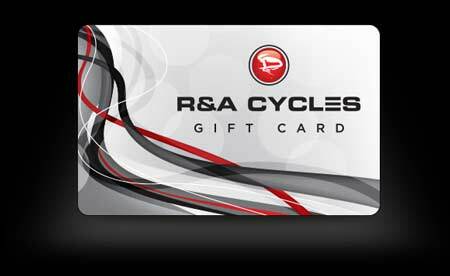 The system was designed to be compatible with any 22-speed SRAM drivetrain, so you don't need to replace your chain, cassette, crankset, or bottom bracket. 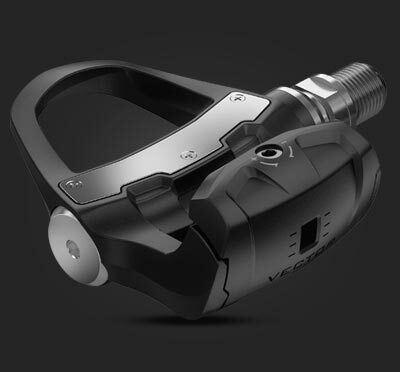 SRAM’s repositionable Blip button shifters allow you to shift from a more upright riding position when you want to, and BlipGrip bar end shifters allow easy mounting on triathlon or time trial bikes. 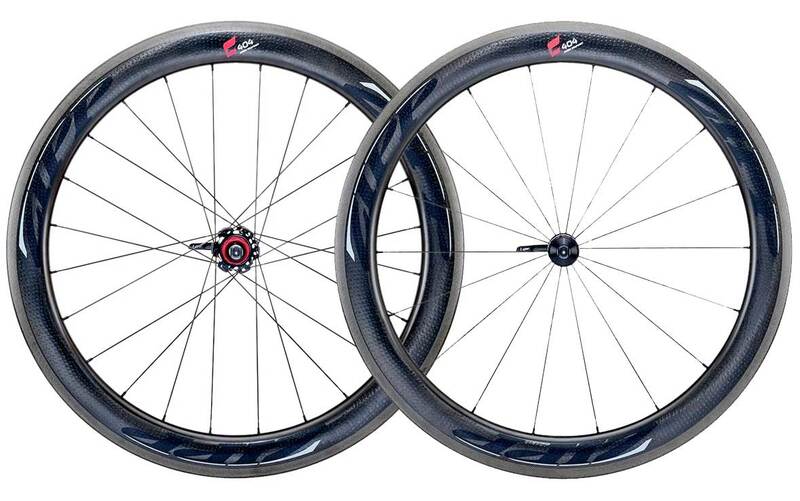 Need a new wheelset that keeps up with your new eTap groupset? 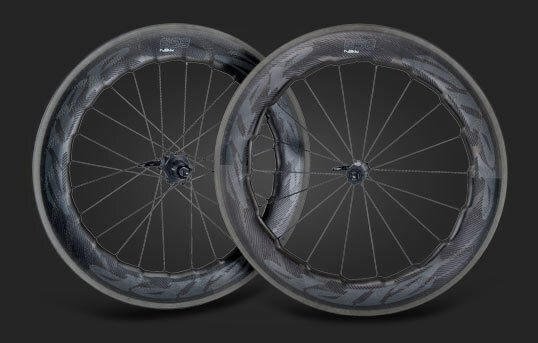 Check out Zipp’s wheel line-up. 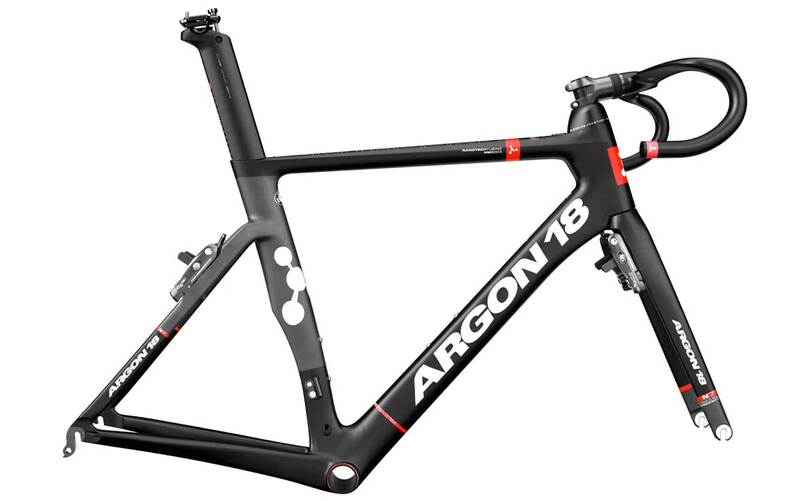 Looking for a cutting-edge frameset for your new eTap group? 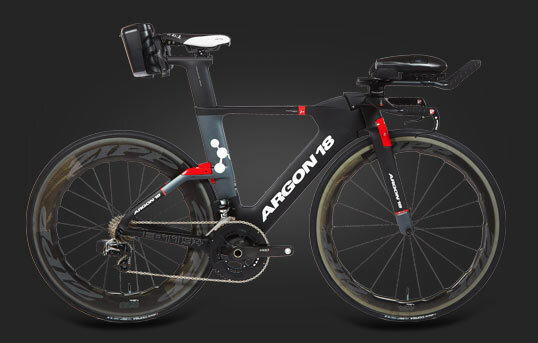 We love the 2016 Argon 18 Nitrogen Pro.